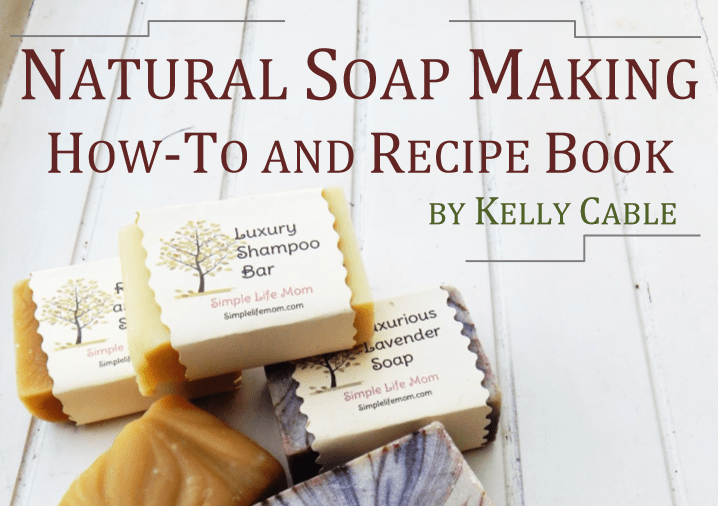 I’m excited to announce the release of my new e-book, Natural Soap Making How-to and Recipe Book. This book teaches how to make cold process body soap bars and shampoo bars, as well as gives you recipes and charts to make your soap making adventures easier and more enjoyable. I’m also including some BONUSES for anyone who wants to get a copy now. I know a number of you bought my recently Amazon Best Seller The Natural Soap-Making Book for Beginners. This book is different in that it has all new recipes, including 4 shampoo bar recipes. I’ve also included a few charts, including a chart on oil properties so you can better understand what oils bring to soap. For example, shea butter helps make a hard, conditioning bar with a stable lather. While castor oil creates lots of bubbles and a moisturizing, conditioning bar. I’ve also including some troubleshooting considerations and how to fix a botched batch so that you can save almost anything that goes wrong (a great money saver). And, of course, I’ve included some ideas for coloring your soap naturally with herbs, clays, and purees. Natural Soap Making How-to and Recipe Book will definitely get you going in the world of natural soap making. But if you want something more indepth (step by step of how to make color oil infusions for soap, more coloring ideas, tutorials and over 51 recipes) then check out The Natural Soapmaking Book for Beginners. 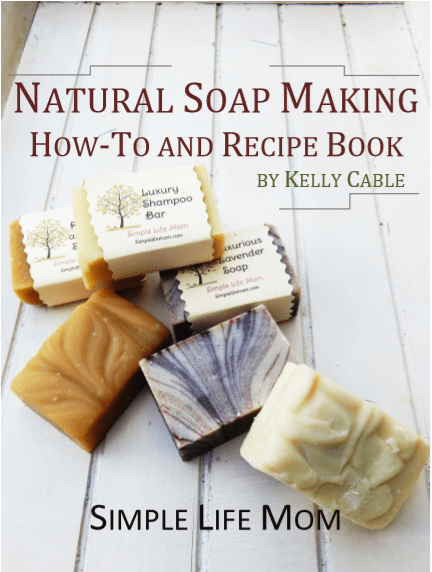 Even though the Natural Soap Making How-to and Recipe Book already has great charts and recipes, I’ve also included a few goodies for those who want to get the book now: 2 Bonus Bath and Body Recipes, and an essential oils blends chart for Soap making. The essential oil blends chart is great for helping you pair your favorite scents with other oils so that you can create blend that are longer lasting and creative. The bath and body recipes are great for this time of year: Hand and Feet Salve Recipe, and a Cuticle and Hangnail Oil Recipe. 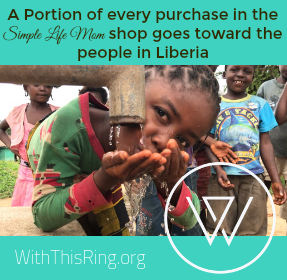 You’ll get them automatically when you purchase. 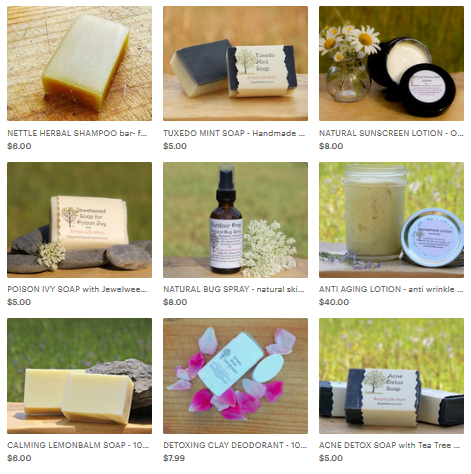 Thanks for sharing the natural soap recipe. The natural beauty products are the best and are more effective. I am so glad that I finded your blogg…I live in Sweden and I just started with soapmaking so I need inspiration. I was looking at your soap-recipe with honey but I would like to change the tallow to something alse; You suggested the soapcalculator but that looks really complicated when you have not done that before :-). Rebecka, do you have lard? It can be interchanged in this recipe for tallow. It does take a little playing around to figure out the lye calculator. Let me know if you need more help. Hi I love your book for beginners. I am very green in this, haven’t even started my first batch yet just trying to understand the process but I can’t seem to wrap my head around how you arrived at your measurements for your essential oil blends in the recipes. I guess what I am asking is how do I decide how much of each essential oil I should add to my recipe if I am using more than one EO. Essential oils can be very expensive. If I add them, I’d like to smell them…but not have them be too overwhelming (or expensive) in a batch. My general rule is 1 ounce per 3 pounds of soap. This is a light scent though (depending on the oil) and some may prefer more.